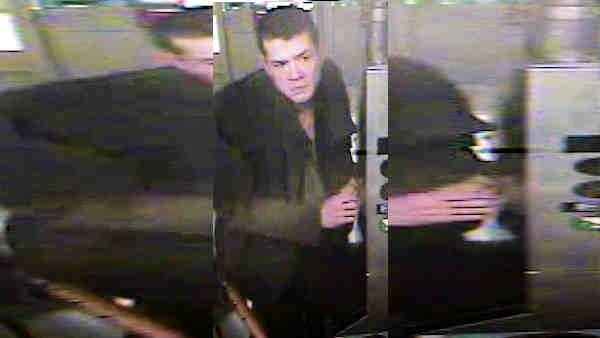 WEST VILLAGE, Manhattan (WABC) -- Police are looking for a man they said pushed someone onto the subway tracks in the West Village in February. Around 3 a.m. Feb. 12, a subway worker got into a dispute with two men who were trying to pick money up off the tracks. According to the New York City Police Department, when the subway worker told them to stop, they pushed him onto the tracks and fled. He was able to climb back onto the platform on his own. He was treated for an ankle injury. One suspect is at large and was captured on surveillance camera. Police said he is white, 40-50 years old, 5 feet 10 inches and 170-180 pounds. He was last seen wearing a black coat and black suit. The other suspect has since been arrested.